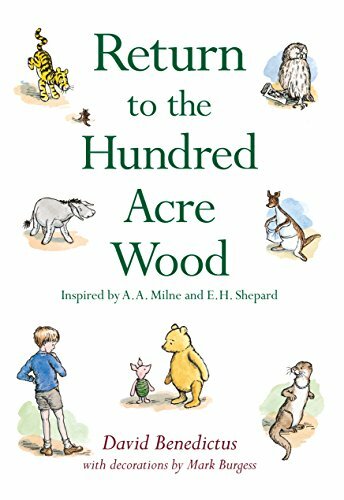 ‘...in that enchanted place on the top of the Forest a little boy and his Bear will always be playing.’ A nostalgical, but fitting conclusion to The House at Pooh Corner as boy and Bear are silhouetted dancing away from the reader. They had had a score of rural outings together and a valedictory meeting, with a signed Rissolution, had been organdised by all their friends. Nothing more needed to be said. Like many another serial devised for commercial ends (remember Peter Pan in Scarlet?) the whole venture is misconceived. Far from the delightful entertainment promised by the dust-jacket, tedium prevails. Christopher Robin turns up on a blue bicycle for ten more engagements with his friends but their revival serves only to show us what has been lost. The events of the book are just that, factitious happenings (Owl tries to write a book; a silly cricket match etc.) with none of the endearing barminess which gave the originals their classic status; the introduction of Lottie the otter is superfluous; word-play is leaden (‘Piglet said: “It’s not a Census, it’s a Nonsensus” and then blushed at his cleverness’) as are most of the attempts to match Milne’s always skilful verse. Anyone confronting the ‘Return’ without knowing of its sources will hardly be encouraged to investigate further.